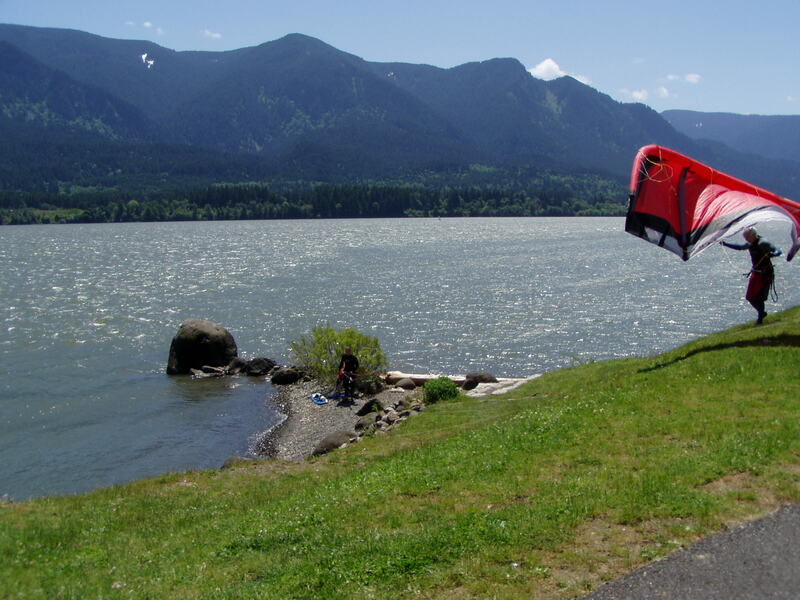 East Point: A favorite of kiteboarders in the Gorge—wind conditions are just right more often here than any other spot in the Gorge. 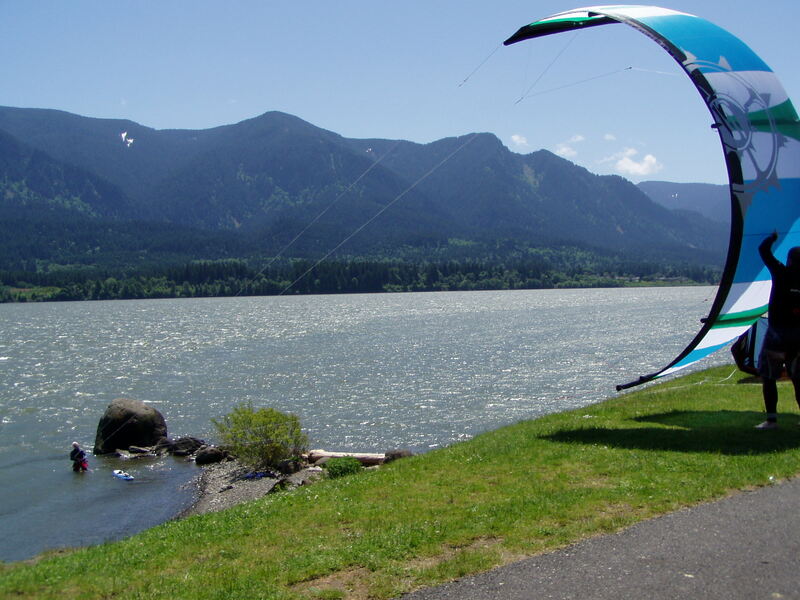 Internationally known kiteboard manufacturer Slingshot Sports happens to be a Port tenant! 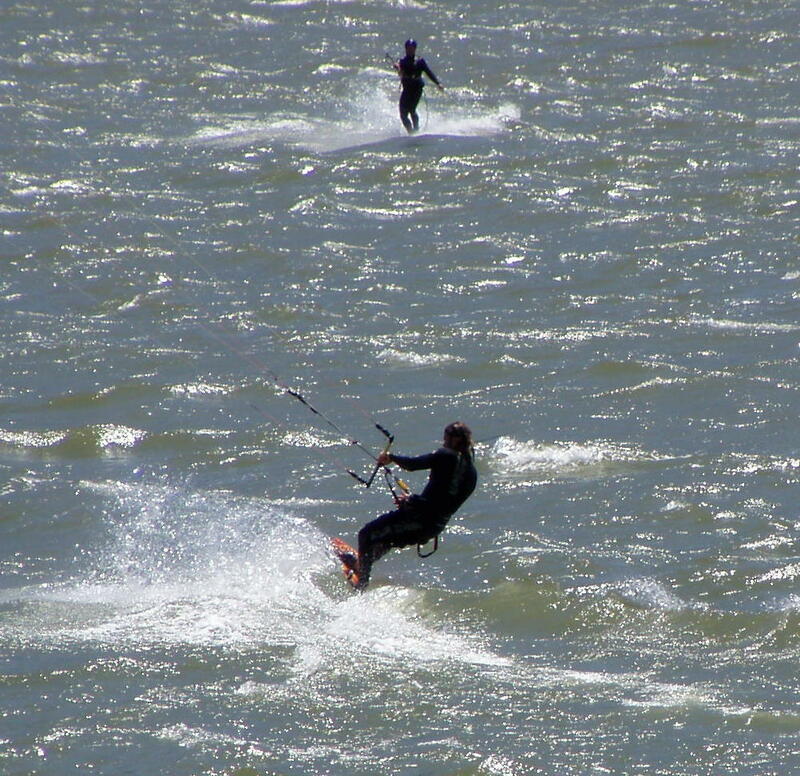 Enjoy kiting or just sit and watch the kiteboarders’ colorful sails, as they catch the winds above the river. Services You’ll find picnic tables and a newly constructed restroom with changing cabana. Directions: From Portland take I-84 east to the Bridge of the Gods exit #44; Cross bridge to Washington SR14, turn east, 3 miles to Stevenson; Turn right on Russel St., cross railroad tracks. Stevenson Landing is straight in front of you. Turn left;turn right at the end of the port buildings just before the boat ramp.